The book provides an overview on adoption of biotechnological approaches for the conservation, micropropagation, synseed production of various medicinal and ornamental climbers. The work includes a brief chapter on evolution and diversification of climbers. 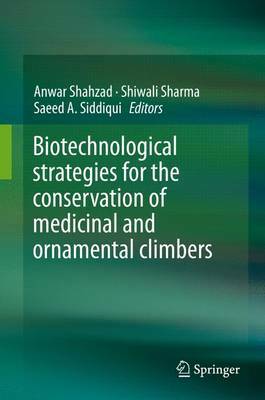 Other chapters give insights on protocols for in vitro propagation and synseed production of selected threatened medicinal and ornamental climbers. Informative chapter on the production of bioactive compound and their enhancement through genetic transformation and elicitation have been incorporated to cover latest advancement in the field of plant biotechnology. This book also explores the use of molecular marker technique for the desired improvement/magnification of medicinal and aesthetic value of climbing plants.